• Assist with stack – room duties. • Good communication skills (verbal and written). Note: Only shortlisted applicants will receive further correspondence, if you have not yet received a response from the museum within two weeks of the closing date, please regard your application as unsuccessful. Applications are to be submitted on fully completed Z83 form, obtainable from any government department or www.westerncape.gov.za/jobs/ clearly indicating the position being applied for and reference number, CV and certified copies of qualifications. Shortlisted candidates will be required to submit originally certified copies of their documentation for verification purposes. These candidates will be required to attend interviews on a date and time as determined by the museum and may also be required to undergo competency assessments/proficiency tests. Deliver your applications to Ms M Soko, Lwandle Migrant Labour Museum, Old Community Hall Vulindlela Street, Lwandle, 7140. Applications not received on or before the closing date, as well as faxed or emailed applications, will not be accepted. This entry was posted in Uncategorized on April 20, 2018 by LWANDLE MUSEUM. This entry was posted in Uncategorized on November 11, 2017 by LWANDLE MUSEUM. This entry was posted in Uncategorized on August 22, 2017 by LWANDLE MUSEUM. This entry was posted in Uncategorized on May 9, 2017 by LWANDLE MUSEUM. SAVE OUR SOULS by Achilleas Souras is a response to the current global refugee crisis that the world is facing. It proposes the re-use of a by-product of this crisis which is the common life jacket to provide low-cost temporary shelters to help refugees: Protection in Water – Tectum (Shelter) on Land. In the past few months alone more than 450,000 discarded life jackets have accumulated on the Greek island of Lesbos, providing an abundance of building material for the project. For Achilleas, who is a 16 year old student, it all started with his toys, especially Lego. He soon outgrew the instruction sheets and would let his imagination run wild, building structures that would re-appropriate much of his parents house. The more he built, the taller the structures would get, challenging himself to keep the structures standing despite the artificial gales of wind and earth-quakes he would generate. Fast forward to today and feeling troubled by witnessing the current global refugee crisis, Achilleas wanted to help in some way. Using his creative child -like wonder to respond to the situation he saw the life jackets as more than a throw away item. Instead he saw them as a building block much like Lego. This entry was posted in Uncategorized on November 24, 2016 by LWANDLE MUSEUM. 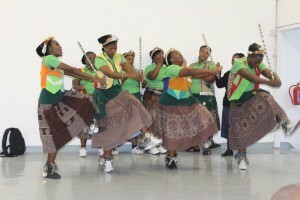 As the commemoration of International Museum Day falls on 18 May each year, the launch of this annual occasion took place on Wednesday 18 May 2016 at the Lwandle Migrant Labour Museum. 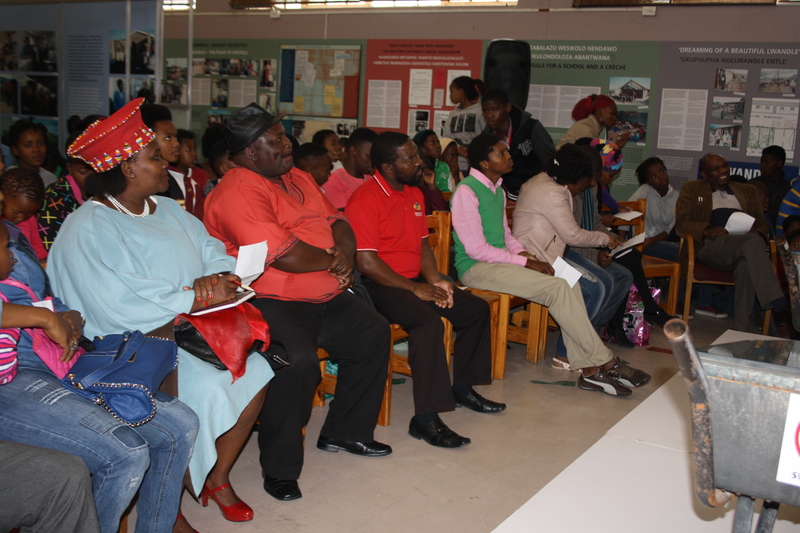 Organised by the Department of Cultural Affairs and Sport (DCAS), guests who attended the launch were greatly entertained on the day. Members from the Palaeontological Scientific Trust (PAST) used their skills to inspire scientific curiosity and entertained the guests with the rendition of their artistic item. 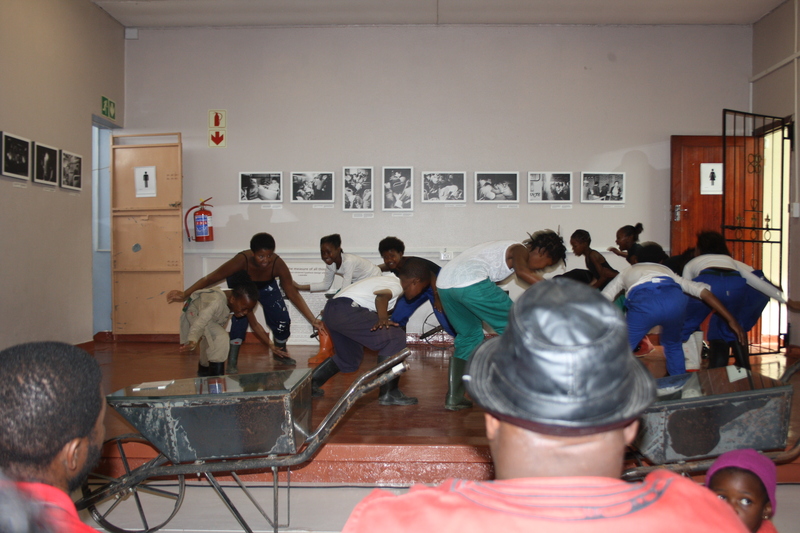 The Amabhaca cultural group from Lwandle also delivered a cultural item. 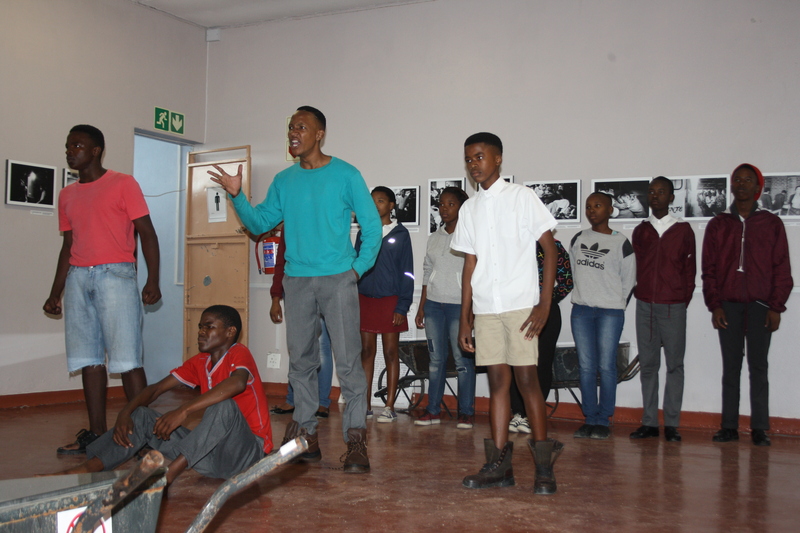 The day was concluded with a tour of the Hostel, which is across the road from the museum and forms part of the Lwandle Migrant Labour Museum. Masa Soko, the Museum Manager, said that it is important to celebrate museums. “Celebrating museums means that people’s stories get celebrated too. Museums are vehicles to share those stories with communities and with the world,” she said. DCAS Minister Anroux Marais delivered the keynote address and officially launched International Museum Day. 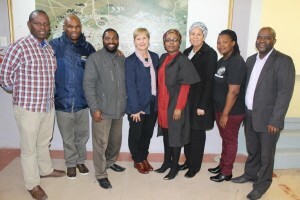 She said that museums protect and promote the heritage and cultural landscape of this province and that museums are becoming increasingly known as an essential part of the cultural landscape of the Western Cape. “Museums make important contributions towards social inclusion by continually striving to be community-led and orientated, acting as spaces for dialogue where we can learn about each other’s history, heritage and culture,” she said. Museums educate our youth and allow them to gain knowledge about their cultural heritage and preserve it so that it will be conveyed to future generations, BETTER TOGETHER. Please note that the museum will be open until the 24th of December 2015. We will then close for the Christmas week and re-open on the 4th of January 2016. 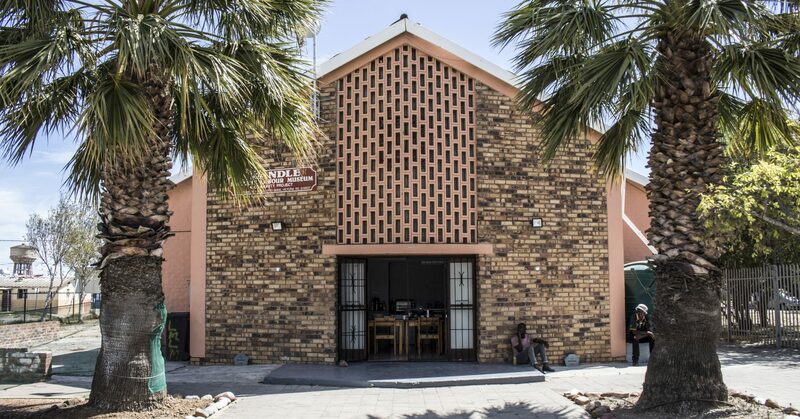 The Lwandle Migrant Labour Museum pays tribute and recalls the harsh apartheid system of migrant labour in which many thousands of black South Africans had to leave their families to find work close to the cities. 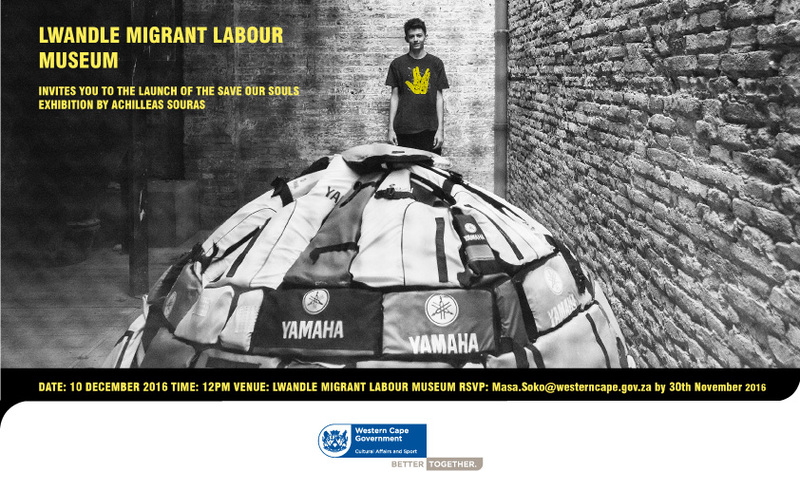 Help us protect and preserve the heritage of the labour migrant system in South Africa by becoming a Friend of Lwandle Migrant Labour Museum. Membership will be a year from time of joining up and thereafter you can renew your membership. Once you join our society this membership entitles you to 363 days of free entrance to the Museum, free entrance to events, workshops and lectures, preferential rates for all outings as well as the opportunity to take part in the AGM and in decision making at the museum plus a regular Friends newsletter. To join up please email manager@lwandlemuseum.co.za for application form and send with payment to: manager@lwandlemuseum.co.za Payment can be made directly in to the museum’s account as indicated on the form. Or come to visit us at the museum and join us. This entry was posted in Uncategorized on August 14, 2015 by LWANDLE MUSEUM. The Lwandle Migrant Labour Museum reminds residents and visitors of the horrific living conditions that the migrant labour system imposed. Our museum is painfully aware of how apartheid sought to sow divisions and hatred amongst our people. As a community museum we therefore unreservedly condemn the spate of indiscriminate violence against members of our communities. The Lwandle Migrant Labour Museum believes that the entire African continent helped in liberating South Africa from apartheid. The brutality against fellow Africans continues to make it difficult for museum such as ours to fight the legacy that apartheid and segregation has left in our communities. This is a shame on us not only as a community museum that represents the migrant workers history of South Africa but is a shame on every South African. We want to reiterate what we said in 2008 when these xenophobic attacks affected our community in Lwandle directly. We wish to declare our determination to work towards peace and tolerance in our communities. 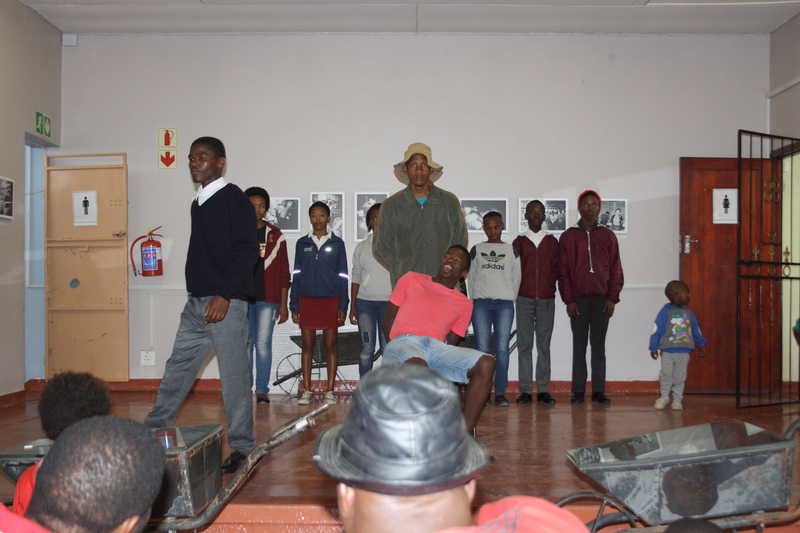 As a community museum we will continue to raise awareness and to teach our young people about the importance of showing compassion and humanity to our fellow Africans. We will continue to strive to build critical spaces for dialogue in the interests of defining post-apartheid communities. We owe it to our constituencies and their memories of apartheid to oppose all forms of displacement of communities and people through violent means. Let us teach the young that we are all Africans. This entry was posted in Uncategorized on April 23, 2015 by LWANDLE MUSEUM. 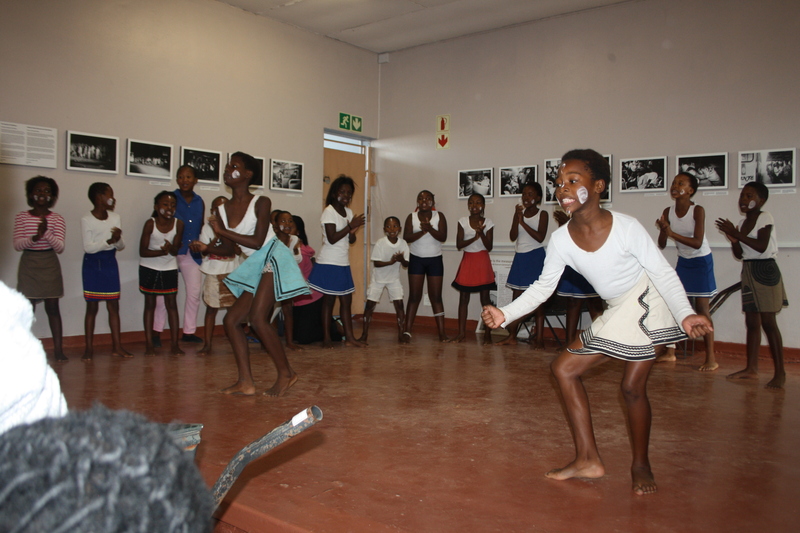 From 03 November 2014 to 31 March 2015 the Lwandle Museum will be open from 08h00 until 18h00 Monday to Friday. Come take advantage of these extended opening hours this summer, come and visit us, go on a tour with our local experts and hear about Lwandle and the history of the migrant labour system. This entry was posted in Uncategorized on November 3, 2014 by LWANDLE MUSEUM. The Council for Museum Anthropology is very pleased to announce that Dr. Leslie Witz and Dr. Noëleen Murray are the recipients of the 2014 Michael M. Ames Award for Innovative Museum Anthroplogy. 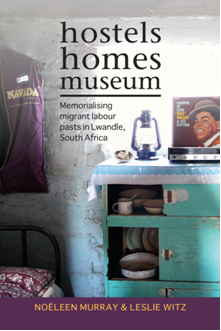 Their long-term work with the Lwandle Migrant Labour Museum and their book Hostels, Homes, Museum: Memorializing Migrant Labour Pasts in Lwandle, South Africa (2014) exemplify the kind of pioneering work the Award is intended to acknowledge. Their work speaks to many of the issues and concerns of contemporary museum anthropology. 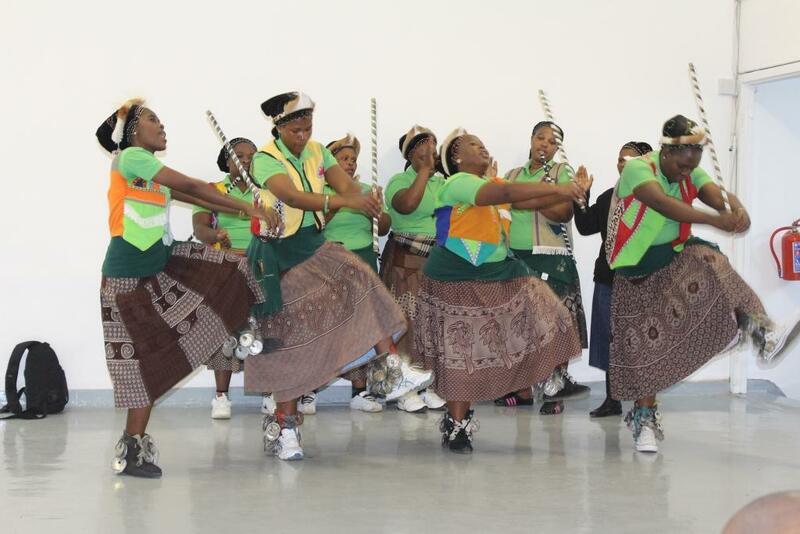 We commend them for their long-term engagement with and research on the museum and the Lwandle community. The award will be presented on Friday 5 December 2014 at the Council for Museum Anthropology reception during the annual meetings of the American Anthropological Association in Washington DC. This entry was posted in Uncategorized on September 24, 2014 by LWANDLE MUSEUM. UCT Press and the Board and Staff of Lwandle Migrant Labour Museum warmly invite you to join Noëleen Murray and Leslie Witz for the launch of their new book. Keynote speaker: Prof Ciraj Rassool, Department of History, University of the Western Cape. A tour of Hostel 33 will follow. 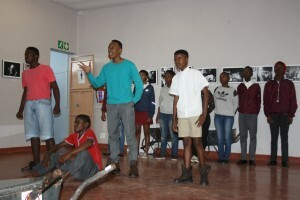 This entry was posted in Uncategorized on July 31, 2014 by LWANDLE MUSEUM. This book, written by board members Noeleen Murray and Leslie Witz, explores the museum’s makings, the creation of histories through the oral and the visual and the rehabilitation of structures for the museum, ending with the celebration – and discomfort – of the museum’s tenth birthday in 2010. Richly illustrated throughout, the book includes two full colour visual essays by photographers Paul Grendon and Thulani Nxumalo, taken while working with the museum on projects of restoration and collection. This entry was posted in Uncategorized on June 16, 2014 by LWANDLE MUSEUM. The Lwandle Migrant Labour Museum would like to show its support to victims of eviction in Siyanyanzela; Lwandle, by inviting all organization in the Helderberg vicinity and beyond to donate non perishable items to the displaced families especially blankets to keep them warm during these cold rainy days. 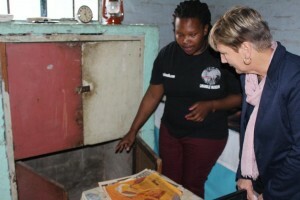 The museum understands that the residents are in need of more than blankets and food, at this point this is all it could offer in hope that a solution will soon be found regarding the issues of housing in Lwandle. iLwandle Migrant Labour Museum ingathanda ukubonakalisa uvelwano lwayo kumaxhoba ofudulo ase Siyanyanzela, eLwandle, ngokuthi imeme yonke imibutho namaziko oshishino kwingingqi yaseHelderberg neziphaluka ukuba ibonakalise inkxaso yayo ngokunikela ngokutya ingakumbi iingubo kwiintsapho ezichaphazelekileyo. Eli ziko liyayiqonda ukuba uluntu ludinga izinto ezibalulekileyo kunokutya, kodwa okwangoku linamandla okuzisa oku kuphela, likwanethemba lokuba isisombululo sizakufumaneka kwimiba yezindlu eLwandle. Bonakalisa inkxaso yakho ngokuthi uzise inkxaso yakho eLwandle Migrant Labour Museum kule dilesi; Old Community Hall Vulindlela Street Lwandle, izinto eziqokelelweyo zizakunikwa iintsapho ezichaphazelekileyo zandule ukunikezwa uluntu kwiHolo yoluntu yase Nomzamo. 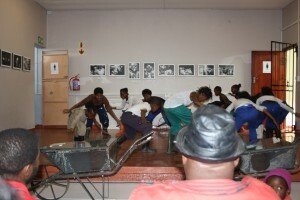 This entry was posted in Uncategorized on June 3, 2014 by LWANDLE MUSEUM. Today we are happy to announce that we have a new website. Come back often to check what we have to offer! This entry was posted in Uncategorized on February 25, 2014 by bjarne.